Need a Bit of Help? Plant a Flower! A flower might not be the first thing that comes to mind when you are looking for options to protect the end row of a vegetable garden, but maybe you should. There are many varieties of flowers that can act like a protective barrier from the elements and also bring many of the beneficial insects that would help with the crops. 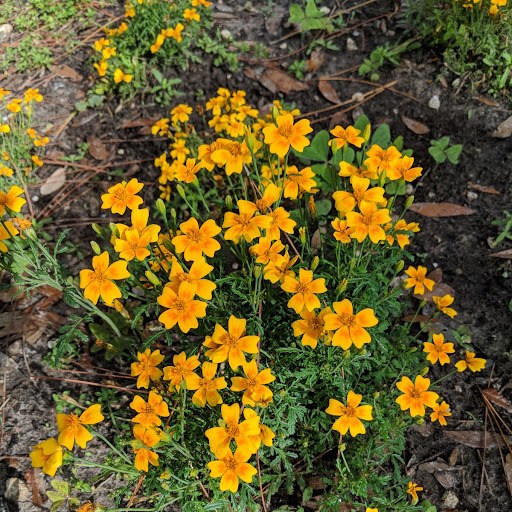 At the farm we use Mexican Mint Marigold, a small plant with edible yellow flowers that has been used for centuries to add to dishes and to make tea and seasoning. We plant it at the end of each row and watch them flourish and protect their vegetable neighbors! ← Worms Are An Organic Farmer’s Best Friends!